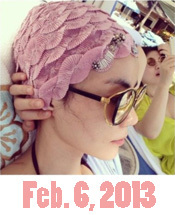 Faye Wong Today (FWT) is for English speakers interested in commentary on the latest news about Faye Wong (王菲). Comments provide background information and opinions often omitted in news stories. 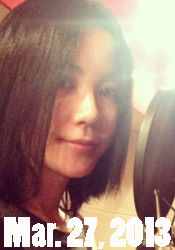 General focus: Who is Faye Wong? What is she up to? 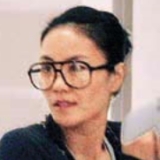 Why is she so famous in the Chinese-speaking world? Hi, ghe. Faye is Chinese. Yes, she is cute, and for us, her fans, Faye is not only the cutest and most beautiful woman in the world, but also the most talented. She is a one-off gifted performer, songwriter, actress, model, and human being who sets rather than follows trends. 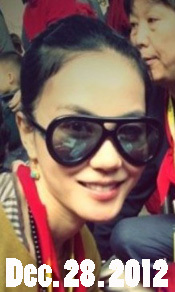 She has brought Chinese entertainment and fashion to a level that equals and often surpasses the rest of the world. Her body of work is so immense and of such a high quality that even her diehard fans, or “Fayenatics,” have difficulty grasping all of it. And the most amazing part of all this is that she is very intelligent, honest, humble, level-headed, generous, reticent, and soft-spoken. She is still the most popular entertainer in China, despite the fact that she doesn’t seek publicity and has been on a personal hiatus from the limelight for the past five years. 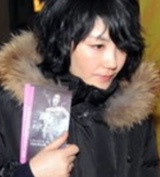 People are attracted to her, and her best friends are some of the biggest and most talented performing artists in China. She is loved by all, men and women, young and old, and I would go so far as to say that she is China’s most valuable cultural treasure. Considering the amount of misinformation about Faye that’s floating around on the web, I’m paying special attention to accuracy. Thus, if you do notice errors, please leave a comment identifying the errors and possible corrections. I’m definitely interested in your thoughts and opinions so please post comments. If your comment provides info that may be of interest to everyone, I’ll post it as an article. FWT is set to automatically post comments from addresses that have been previously approved. 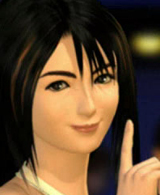 That is, if a visitor’s previous message has been approved for posting, her/his subsequent messages are posted immediately without moderation. However, if she posts from a different address, the comment will sit in a queue to be reviewed before being made public. To reach me privately, email me at feifan@wild4music.com. I sometimes forget to check my email so it may take a day or two for me to respond. If it’s urgent, post a comment in FWT to let me know that I have email. Also, if you have suggestions for topics that you’d like to see covered or for improving this blog, please share them with me. 1. WordPress video problems: You need to install Adobe Flash Player 10.0 (or later). 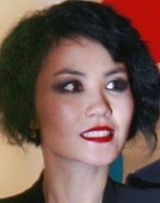 After downloading and installing it, restart your computer and log back in to Faye Wong Today. 2. Downloading videos and MP3s: Click here for the solution. 3. Songs written and/or composed by Faye: For a post on this topic, click here. For songs written and composed by Faye, click here. For songs written or composed by Faye, click here. First, upload them to one of the following: (1) a free host site, (2) YouTube as audio-only videos, or (3) a webpage or blog. Next, post the URL in a comment to this message or to the “Fayve Songs” page (click on the tab at the top of the page). I’ll post the songs as MP3s and site the persons providing them. 5. Contacting the owner: Post a comment in the “About” page (click on the “About” tab at the top of the page). All comments are screened before publishing. If you add “private” or “don’t publish” in your message, it won’t be published. is it you? our old disappeared forum fellow? i hope so! maybe you can send me an email ! 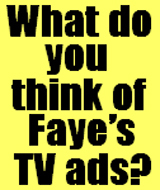 PS: Absolutely best faye blog and news page on the web! Congrats! Hey, Fayever. Good to see you again. Thanks for the kind words. Sorry for disappearing from our forum. I guess I realized what Incog seemed to suspect, that blogging is probably best suited to my style and interests. I’m still trying to learn as much as I can about Faye, and a blog is a good way to share stuff I’m discovering and curious about. Looks as though Faye’s return will be postponed once more, perhaps another year or two. But the wait will be worthwhile. There’s only one Faye, and all of us know that when she returns, she’s going to blow us all away — again! In the meantime, her body of work and history is so vast and deep that it’ll keep us busy forever. Danke for writing. This site is awesome!! Thanks a million for updating us all about Faye. We miss her!! Tkx, Lawrence. Faye’s coming back! But like Katie says, she never said she was retiring or not coming back so “returning” may not be the right word. But whatever, we’ll be hearing her again on new CDs! Seeing her again onstage. Performing new songs that she’s written and composed. Man, I’m going nuts! Yeah….we all MISS HER so much. Hey Lawrence, so surprise to see your blog. Not sure you still remember me ? 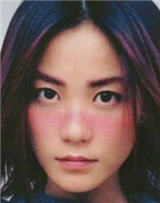 But last time at a TIONG BAHRU Faye Wong event, I give u a rare Faye Wong poster I won cos I know u love it so much. Hehe, anyway, glad to see u becoming so successful. I love the shirt you wear in the LV red carpet thingy. thanks for the site! love faye! Tkx, Ana. 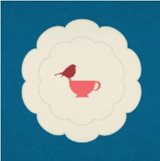 BTW, cool avatar! I stumbled upon your website and I am so happy your giving me little doses of faye everday. I have listened to her songs everyday for the last 15 years and i am so happy to be a fayenatic. I was wondering if you have compliation of these rare moments on disc to share. Hi, John. I’m glad you found us at Faye Wong Today! 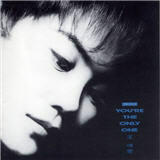 Re CD compilations: No, I don’t have any. I seldom use CDs except to rip them to my computer in lossless format. After that, they sit on the shelf. I listen to Foobar2000 playlists via USB to DAC/Amp to headphones. 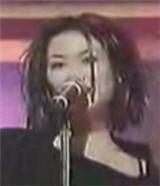 When I’m away from my desktop, I usually just log on to Faye Wong Today and click on individual songs. 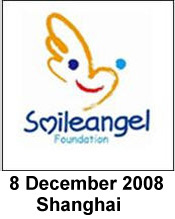 You re-posted Dan’s links on the 3 old Faye albums on 19 March 2009. Did you get the links to work? If so, can you please help me or upload them on another free file-sharing site (eg. Megaupload) cos I really can’t open the, at all. Hi, Kim. The links didn’t work for me, too. I thought it was a problem with my setip, which sometimes balks at hosting sites. Hopefully, Dan will see your message and provide different links. Thanks for the heads up! 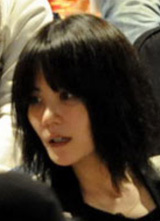 Re your question about producing “a DVD that contains a lot of the [Faye Wong] unpublished material” — I don’t think that’ll happen until we get better quality videos. Currently, the FLV files simply don’t have the resolution to reproduce well on TV or large computer screens. Unless the owners of the original videos are willing to upload high-res versions, I’m afraid we’re stuck with the tiny frames. Sound is also an issue. The vast majority of FLV files are not true stereo. They’re monaural that’s piped into 2 channels. Again, we’ll need better uploads. hi,feifan! i have to admit that your blog is so nice, we all like faye,i believe faye will give us surprises in the near future,i hope her new concerts,CDs,and films,and how about you? i think we can become friends . Hi, Jesse. Thanks for the kind words. Let’s keep our fingers crossed that Faye will really be back with a commercial and follow it up with an album, promotional appearances, a concert, and a film. Yes, when we’re fayenatics, we’re automatically friends! I can confirm the first but not the second. Hopefully someone knows if it’s on a Faye album. ee, thanks for the kind words. I like that — “our queen.” Faye really is our queen, and we’re her loyal subjects in Feidom. Her voice is pristine and sounds healthier, rested. And she looks fabulous, as always. I’m looking forward to seeing her new TV commercials, and I hope this will be the start of a comeback in music and films as well. I was looking at some you tube footage and a friend told me about this blog. I have a question no one seems to know the answer to. Does Fei ever do concerts in the US? Please respond. If I have to time a China trip to see her that’s fine.How can I find out tour dates? Any help would be appreciated. Chinese New Year Concert at the MGM Grand Garden Arena, Las Vegas, NV, 20 Feb 1999. New York concert, 27 Nov 1994. Edmonton concert, 16 Nov 1994. Vancouver concert, 13 Nov 1994. I may be mistaken, but I think she once said in an interview that she was no longer interested in doing concerts in the US. Click here for the previews. Thank you so much for all the latest faye’s update and news. You are wonderful!! Chris, thanks for the kind words. I get a lot of help from other fayenatics around the world, and i wouldn’t be able to do this without them. wow, great website about Faye! I’m happy that I found it today. How many information! Yaroslav and Eunice — thank you for your kind words. This is a labor of love. There are no greater fans in the world than fayenatics! This site wouldn’t be possible without the help of many, many fayenatics, and I’m grateful for their assistance. 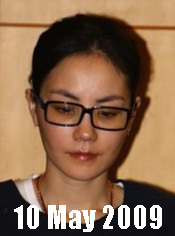 The hope is that non-Chinese speakers in the world will also discover and learn more about our queen. Faye brings so much beauty and love to all of us that I can’t help but feel that the world is a better place because of her. hi, she is really that cute and just to ask is she a chinese or japanese?? Hi, ghe. Faye is Chinese. Yes, she is cute, and for us, her fans, Faye is not only the cutest and most beautiful woman in the world, but also the most talented. She is a one-off gifted performer, songwriter, actress, model, and human being who sets rather than follows trends. She has brought Chinese entertainment and fashion to a level that equals and often surpasses the rest of the world. Her body of work is so immense and of such a high quality that even her diehard fans, or “Fayenatics,” have difficulty grasping all of it. And the most amazing part of all this is that she is very intelligent, honest, humble, level-headed, generous, reticent, and soft-spoken. She is still the most popular entertainer in China, despite the fact that she doesn’t seek publicity and has been on a personal hiatus from the limelight for the past five years. 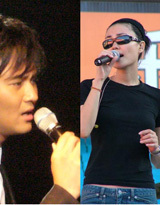 People are attracted to her, and her best friends are some of the biggest and most talented performing artists in China. She is loved by all, men and women, young and old, and I would go so far as to say that she is China’s most valuable cultural treasure. is it impossible to download video from your website? Yaroslav, this site is set up to make downloading of videos and MP3s very easy. On the “About” page, see item #2, Downloading videos and MP3s. I’m not familiar with downloading via Internet Explorer (IE) so the directions are for Firefox. However, I’m sure IE must have a similar download feature. oh, i just can’t believe there are so many english-speaking fans,or fayenatics here. I am one of them actually.But i am from the mainland. 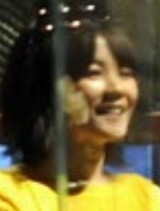 In fact i am wondering whether you all can understand Faye’s songs,since they’re most in Chinese. 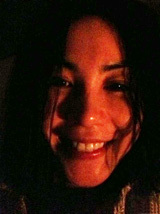 I would like to make some friends here, of course in English. What fun it will be to communicate with one about Faye in English!! I’ve never done that before. REALLY LOOKING FORWAED TO IT!! I just randomly found this clip – can anyone translate? Its dated 23 April 2010, I think its something about their divorce rumours. Ok, I just watched the whole clip, its seems to be a recap of their relationship. 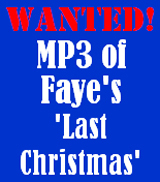 can any1 please tell me where can i get faye’s EP, Legend online? I am staying in Singapore, but i dont see the EP in Singapore’s CD store. Really like to get this original hard copy. Hi, have a question. Does anyone know what the original song for this MV is? The song playing is “两个人的圣经” but the clip looks like it’s for a different song because the vocals don’t match up with the video and also the smaller karaoke text looks like it’s for another song as well. Any help would be appreciated! anyone has the song list of the recent Shanghai concert? i have all Faye’s songs, i want to compile a song list on my iPod. It’s difficult to find good english sites on Faye and being a web designer myself I’ve always contemplated putting one together but don’t have the time to keep it fresh. Thanks for putting this site together. I would love to contribute in any way to support this site. Hello, its me again, I have uploaded the whole taipei concert mp3. Maybe you can announce it and let more people to download. Hi, i’ve found a very rare track of an old song from Faye. I think it is called “Freedom” and it is a strange remix of an european DJ and never released. Is there a way to send it to you? 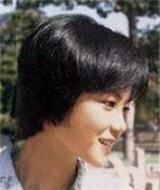 (a couple of sightings of Faye Wong; in Chinese). 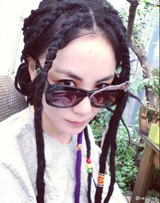 Have you seen veggieg has a new Weibo avatar? In 1999, Faye toured mainland China for the first time and performed 11 shows, after 17 shows at the Hong Kong Coliseum from Dec ’98 to Jan’99. Does anyone know the exact cities in China, venues, and dates for that Scenic Tour in China? Email me at n_lee68@hotmail.com Many thanks! 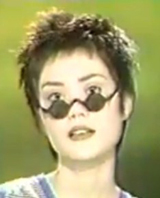 On youtube there is a “making of …” documentary on Faye Wong’s Head and Shoulders advert, it’s in three parts. Essential viewing!